PROGRESSIVE grade in granite green paint Off-road. On point. 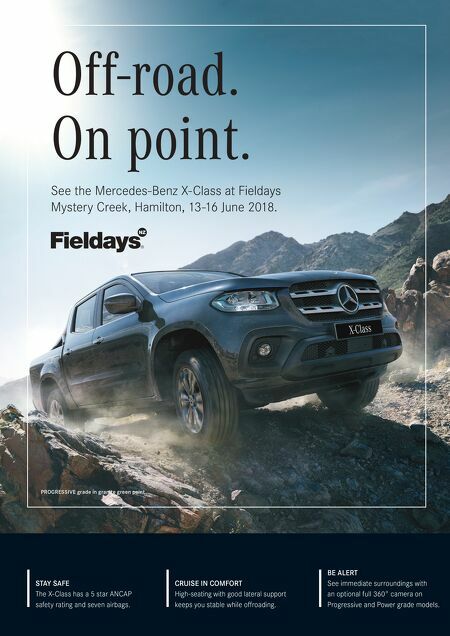 See the Mercedes-Benz X-Class at Fieldays Mystery Creek, Hamilton, 13-16 June 2018. STAY SAFE The X-Class has a 5 star ANCAP safety rating and seven airbags. 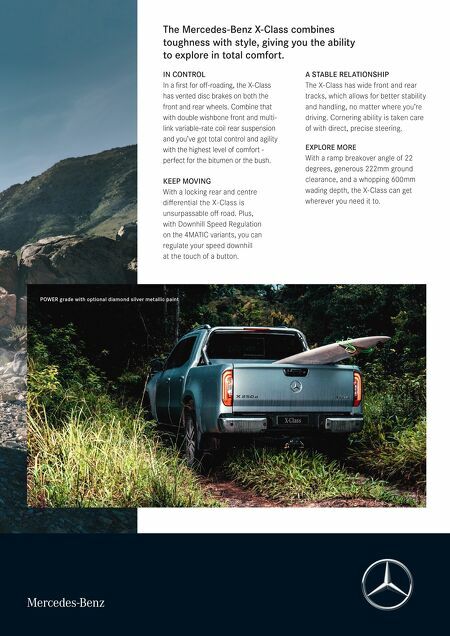 CRUISE IN COMFORT High-seating with good lateral support keeps you stable while offroading. BE ALERT See immediate surroundings with an optional full 360° camera on Progressive and Power grade models.